Almost everyone loves the beach. People love to go swim, surf, hang out, whatever it may be people love to go to the beach especially now in the summer. I would fall into the category of people who enjoy the beach as well but perhaps for different reasons. See, me and water, large bodies of water that is, do not exactly get along. I have this fear of the water, swimming, anything along those lines. An extreme fear in fact. I have gotten some what better at not freaking out as much, but none the less I harbor the fear. But I find the ocean and the beach to be an incredibly beautiful and powerful image. 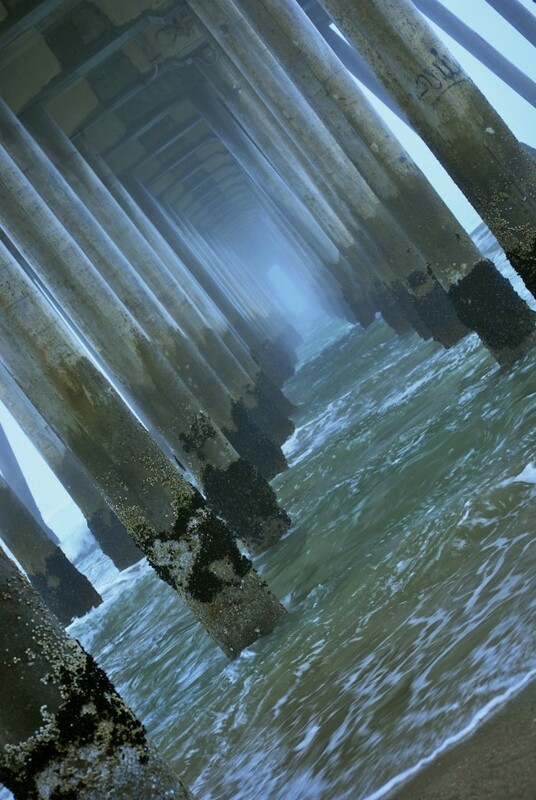 The photos I have up here of the beach were taken at Huntington Beach about 6:30 in the morning. It was amazing. So quiet and peaceful, yet the silent roar of the waves spoke loudly and clearly. It was relaxing and mind clearing as well as thought provoking and moving. I enjoy looking at pictures of water and waves, it leaves me in awe at their size and power. It leaves me in greater awe of the Maker of all nature. I enjoy the beach to sit and be quiet. To maybe draw or write in my sketchbook. To walk and talk with good friends. To take photos and then go home and edit in Aperture. For some truly amazing ocean and surf photography check out this. There are numerous posts there with surfing pictures taken by Chaz Curry. Hope you enjoy his pictures as much as I did. 07/16/2010 | Filed under Miscellaneous, Photography.